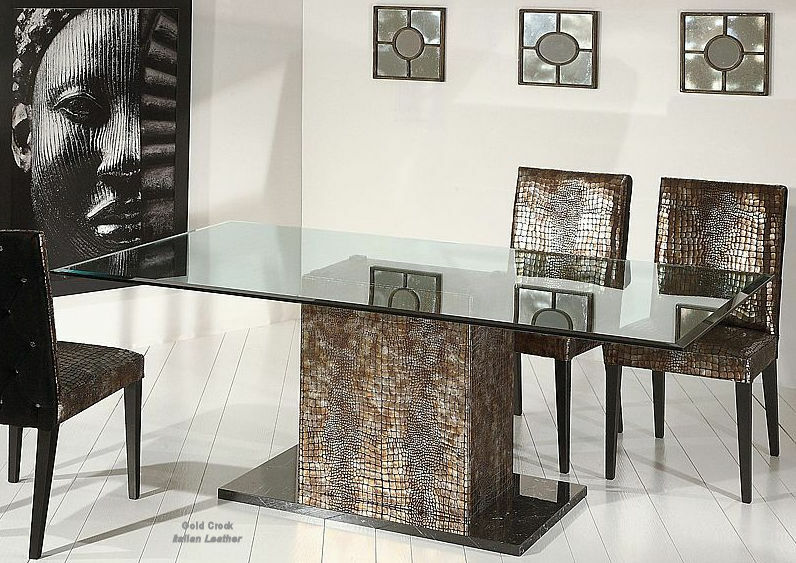 The Arcos Italian dining table (above) offers the finest quality from Italy. Custom made with polished stainless steel and your choice of leg finish including wood and polished stainless steel. See Arcos Dining Table. 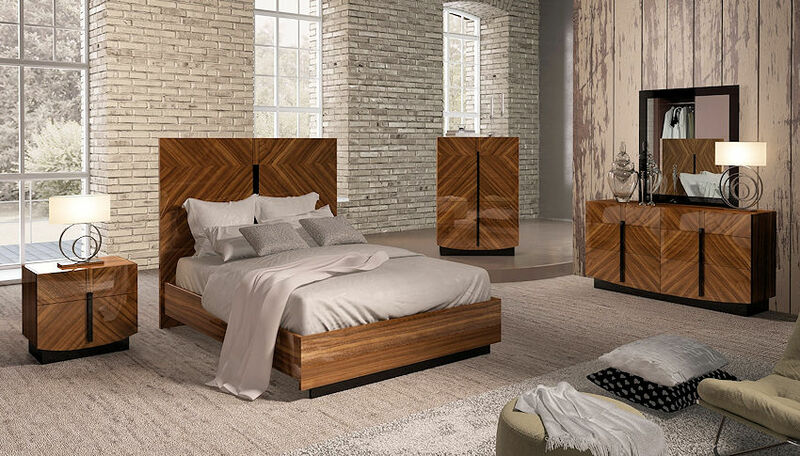 The Flavia bedroom set is made in Italy. Offering a high gloss lacquer finish and modern design. 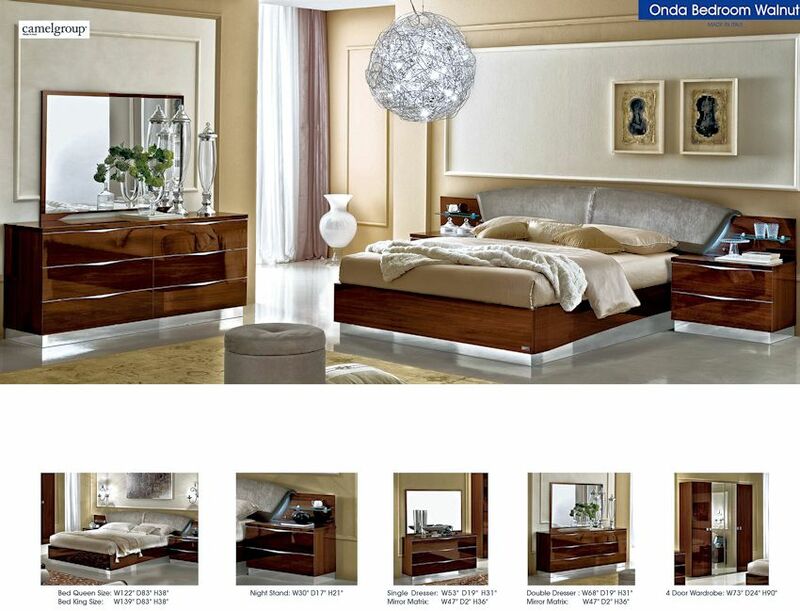 The Italian stone furniture collection made of solid natural earth stone represents the top of Italian furniture. Custom made in any stone. 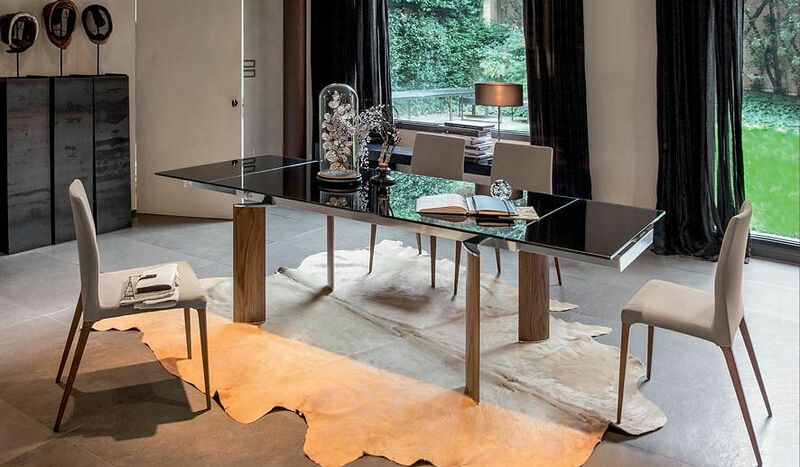 The Tonin Casa Wave Dining table offers the ultimate in modern design and luxury. Made in Italy. The photo of the room above represents a perfect example of eclectic design - mixing the old with the new. Time is obvious in eclectic design.